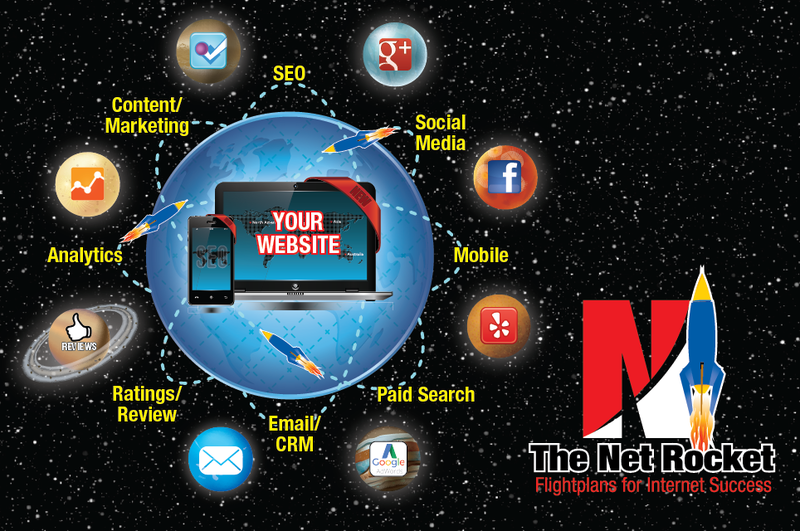 The Net Rocket is simply a multi-faceted internet strategy for small and medium businesses. -Website Design: Our sites are built to convert. It’s time to show your brand and gain traction. -SEO & SEM: Make sure you are found when your customers need you. -CRM: Customer Relationship Manager: One of the simplest ways to close more business for less. -Social Media: Show off your work, connect with your market, BE the leader. -Email & Video Marketing: Stay in contact seamlessly with your prospects and clients. Be there when they need you. -Reputation Management: Don’t let 1 bad review ruin your business. We’ll manage your profile online today!